Ok this is me having fun, nothing else. 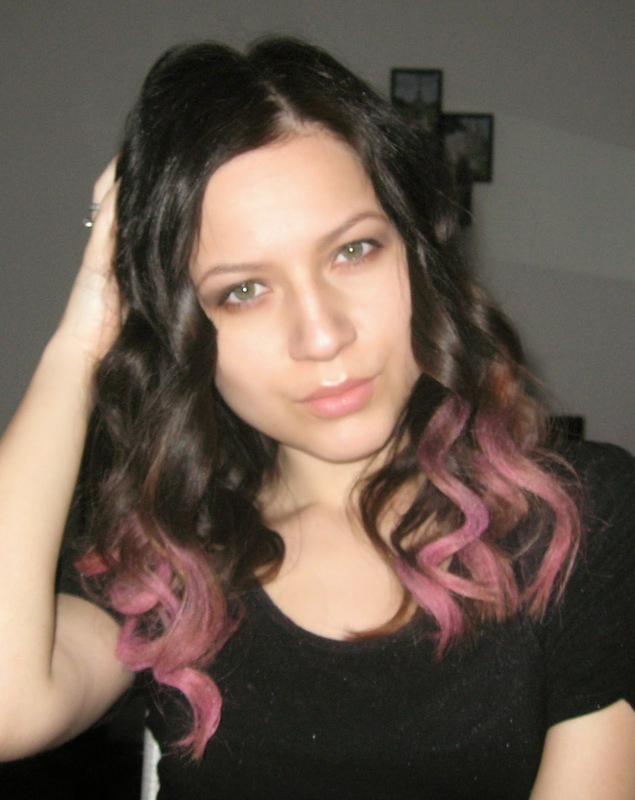 I wanted to try some crazy fun colors on my ombre hair for a longest time, but I'm just not brave enough. So I was browsing through internet and found this technique of coloring your hair with eyeshadows!!! I thought that so cool, it's not permanent, it's not damaging to your hair, and it's a great way to see if you really really want to dye your hair some bold color permanently. So as you can see I tried it for a first time and here are the results. I actually love how it turn out with pink eyeshadow, now I wanna try some other colors too!!! What do you guys think, fun!? Maybe this will encourage me to dye my hair for real!